– Norwich in the north, & Eye to the south! 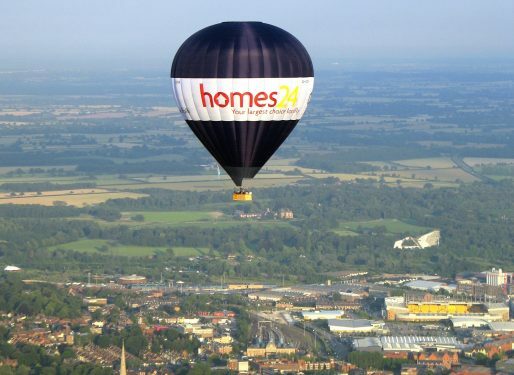 Our big girl, drifting over Norwich! This is the little 3-man balloon - a real beauty! In Norfolk, we provide our flights from Norwich itself, providing incomparable views of the iconic city before floating over the breath-taking countryside or possibly even the iconic Norfolk Broads. Norwich is host to a multitude of elegant architectures, which are even more stunning from the air! Notably the historic castle and cathedral, the modern Forum and Sainsbury centre, the new hospital and for all those football fans, a never before seen view of Carrow Road, home of the beloved Canaries. 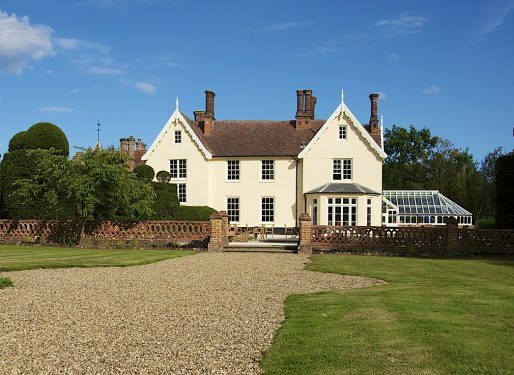 Outside the city you will be carried over rustic Norfolk countryside. Offering constant photo opportunities and a whole new perspective of Norfolk can be observed. 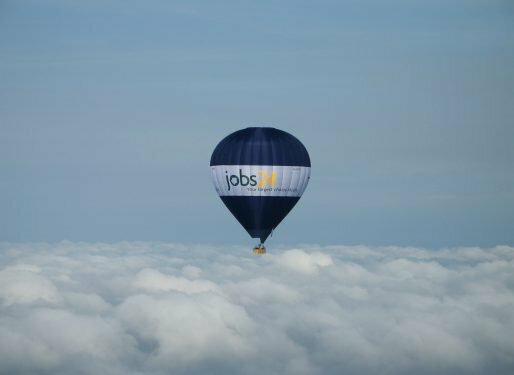 In both Norfolk and Suffolk, balloon flights are scheduled throughout the year, on weekdays, weekends and even Bank Holidays. We travel with the wind, and part of the excitement of going ballooning is not knowing where the wind will take us! It’s a brilliant adventure! Normally, we’ll travel anywhere between five and twenty miles during the flight. Of course, as we fly along our ground crew follow us by road, whilst in radio contact with the pilot. Following landing, all passengers are returned by road to the launch site, where certificates are presented by the pilot, and a few bottles of genuine champagne are opened to celebrate the flight! 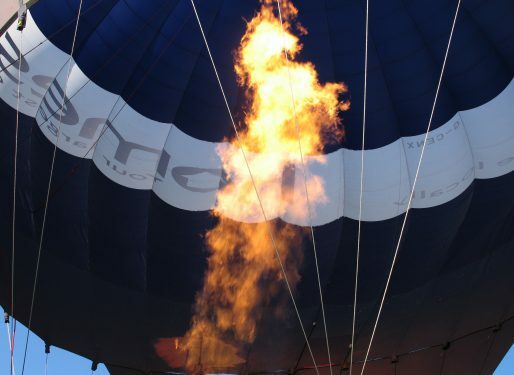 Hot air Ballooning is a weather-dependent activity, but don’t worry if your flight is postponed due to poor conditions – just simply reschedule your flight for another date either online or over the phone! Like a fire-breathing dragon, the burner roars! Just about ready for lift off! Up above the clouds for a quick look! 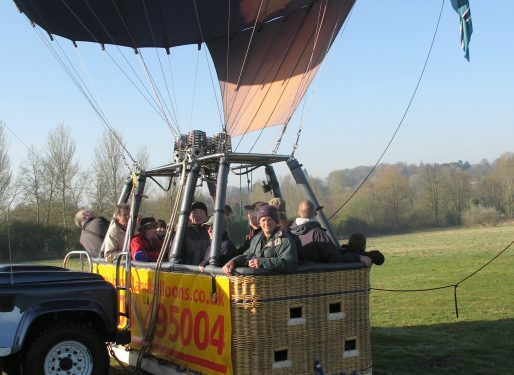 Our main hot air balloon flight launch site in Suffolk is at The Oaksmere Hotel in Brome, near Eye. 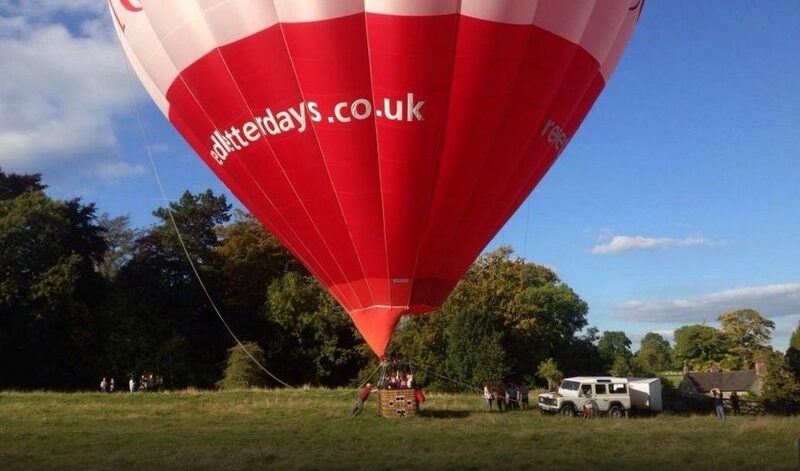 Balloons flights from here offer passengers sensational views of the panoramic Suffolk countryside, coasts and heaths which have been designated a world heritage site of outstanding beauty. 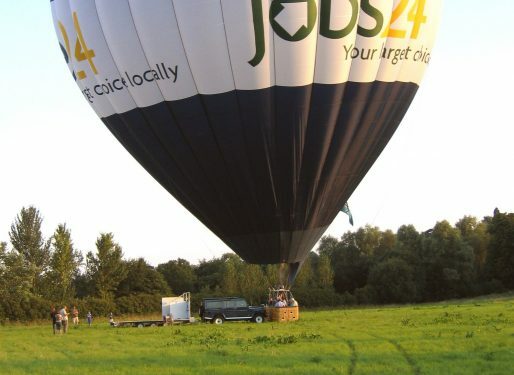 The Oaksmere Hotel, built in 1561, has a renowned bar and restaurant to further add to your brilliant balloon flight in Suffolk. Eye itself, an 18th Century market town, offers views of the Norman Castle ruins coupled with a tranquil atmosphere. Close to Diss, and 40 minutes from Ipswich or Bury St. Edmunds, this launch site is perfect for anyone in Suffolk, south Norfolk or even Cambridgeshire. 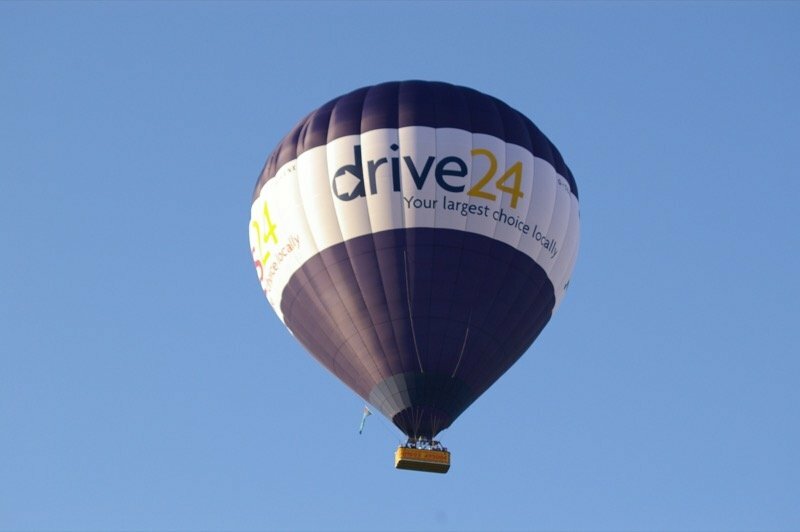 Did you know that hot air balloons cannot be steered in any way? They simply float along with the breeze, and travel wherever the wind takes them. 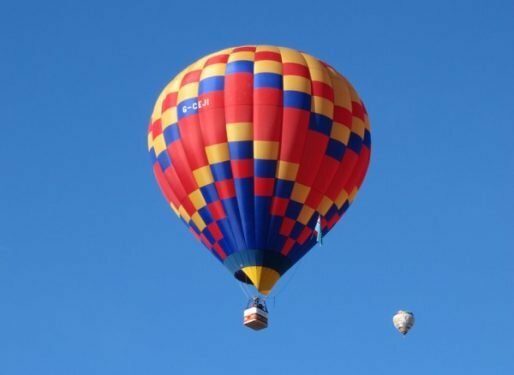 That’s one of the greatest attractions of going on a hot air balloon flight; every trip is a different and unique adventure – for pilot as well as passengers! We could land anywhere within a 20 mile radius of our take off spot. Of course, we can control the balloon in an “up and down” fashion – it’s just the “left and right” that we cannot master! So, don’t worry, we won’t come down haphazardly in a muddy bog, because we just keep on flying until we reach a suitable landing spot. However, we do have to plan ahead and make sure that we don’t risk drifting into controlled airspace, close to the coast or into unsuitable landing terrain.